Global Desi, the boho chic brand, achieves a significant milestone, as it celebrates the launch of its 75th exclusive store at Monalisa Centrum, Vadodara. Established in the year 2008, Global Desi, is the pioneer of fusion wear in India, and is inspired by the country’s vast and vibrant heritage; juxtaposed with western silhouettes and global styles. The collection offers styles like bomber jackets, culottes, skirts, dungarees, and a wide range of comfortable knits and denims, in bold pops of colours like blue, red, purple, pink etc. A heady cocktail, where global trends and Indian aesthetics, influence style in equal measure – ‘London Calling’ is the new language in fashion for the global woman. 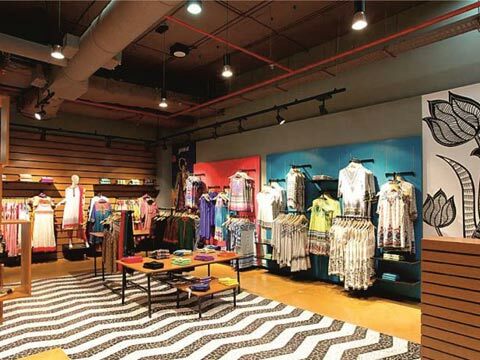 Global Desi, is currently present in 53 cities in India, with 200 multi-brand outlets throughout the country, 2 international stores and 75 exclusive brand outlets.